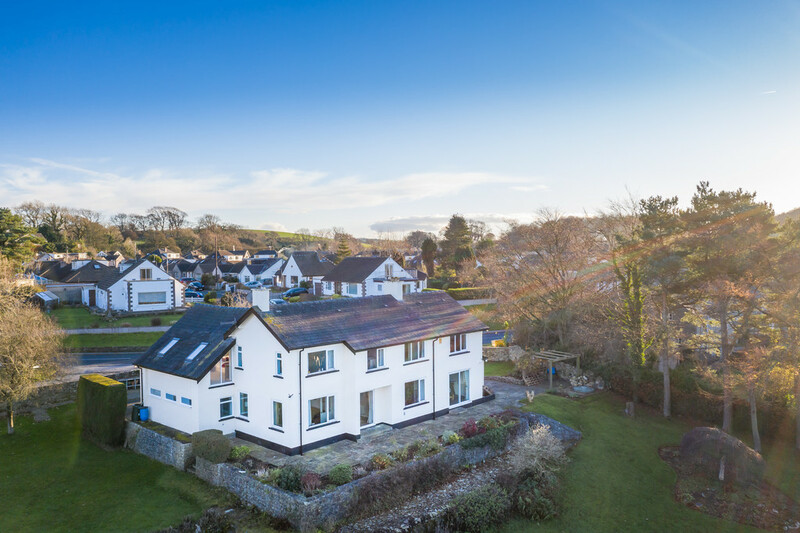 Ideally situated in the heart of Over Kellet village, West Penwith is a fantastic detached family home set within a sizeable plot of just under 1 acre and boasting stunning, uninterrupted, panoramic views over the rolling countryside to Morecambe Bay, Warton Crag and the distant hills of The Lake District. 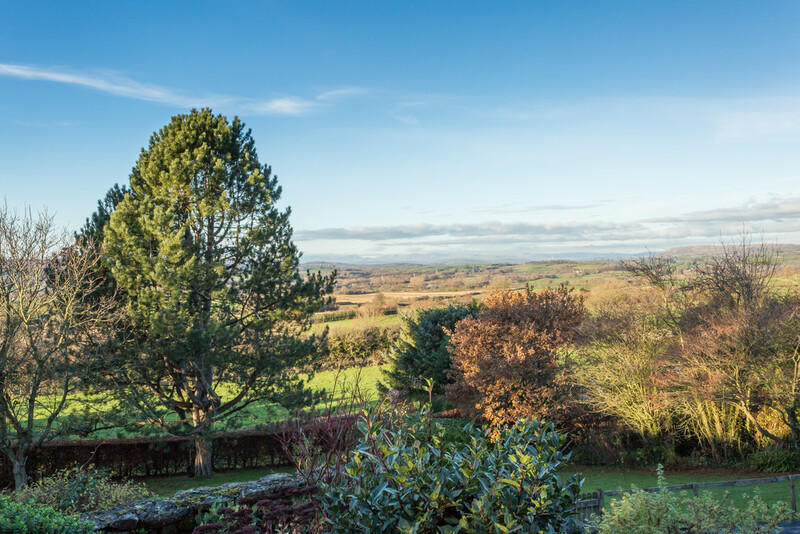 The view is simply unrivalled and can be enjoyed via large picture windows across the property and from the raised flagged patio of the sizeable garden. 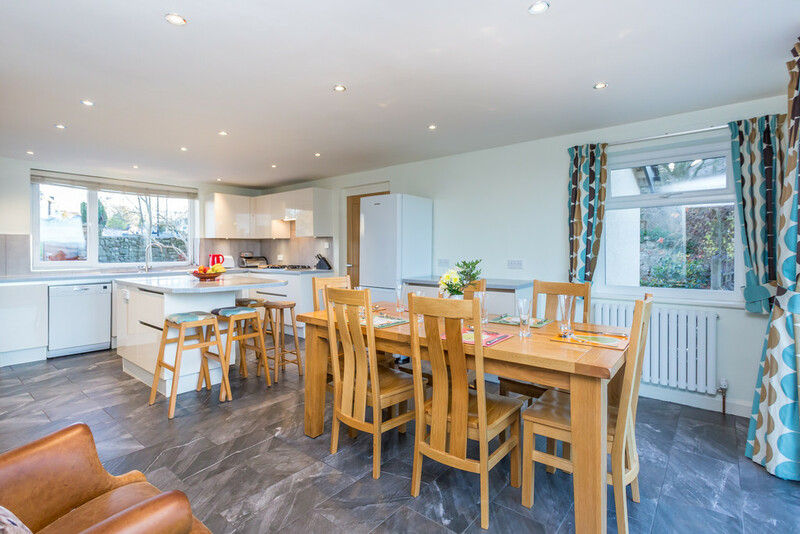 The accommodation is spacious and ideally suited to modern family life with a selection of three reception rooms and a stunning open plan kitchen dining room. 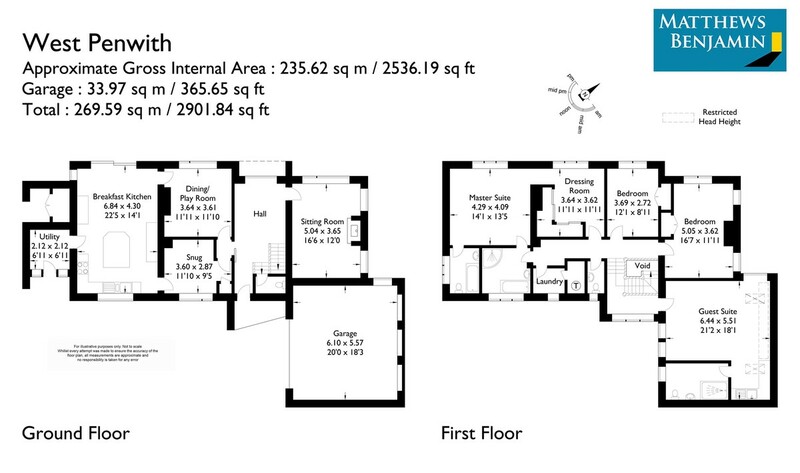 There are a total of four good sized bedrooms with potential to create a fifth from the generously proportioned dressing room of the master suite. 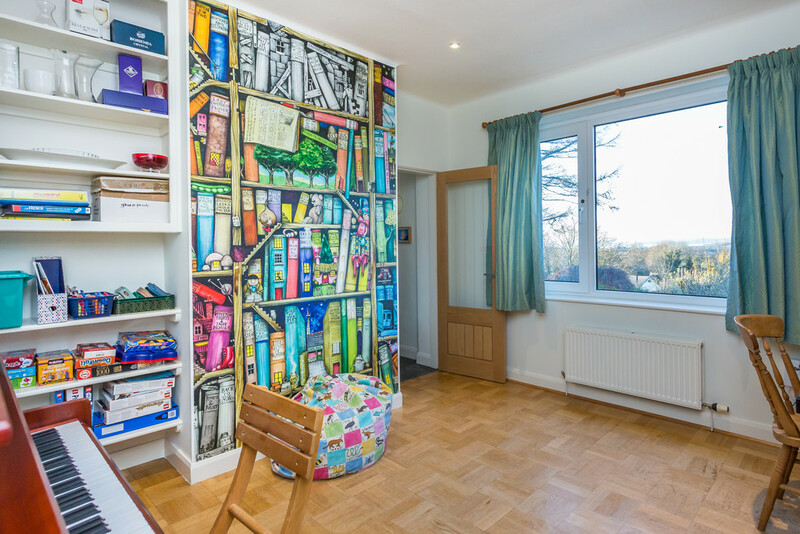 This also includes a smartly created studio extension comprising a large double bedroom with a kitchenette and ensuite. 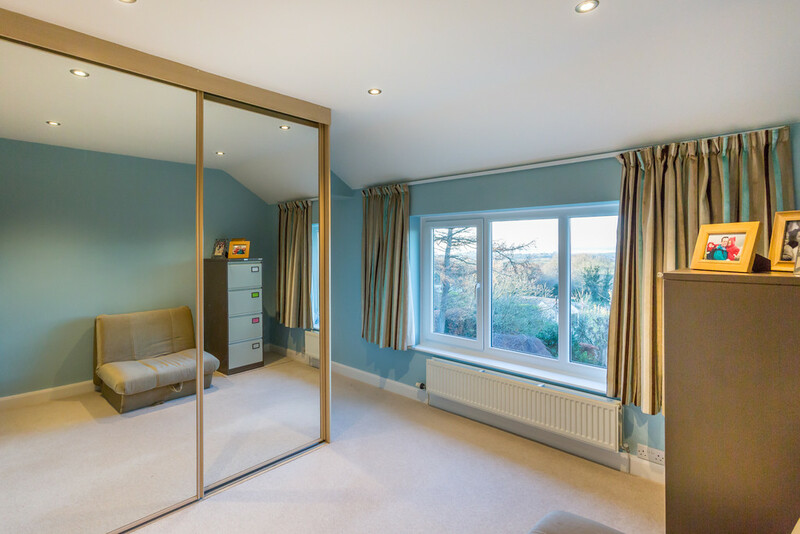 Ideal for guests, dependant relatives or even a home office, the space is flooded with natural light from triple aspect and is peacefully located away from the main accommodation. Externally, there is a private driveway affording ample parking for several vehicles, an integral double garage and plentiful garden space for even the largest of families to safely enjoy, including a secret garden area! Purchasers will also be delighted to know that West Penwith benefits from a superfast B4RN broadband connection. The countryside village of Over Kellet is a small community that provides a village store, post office, pub and a well regarded primary school. 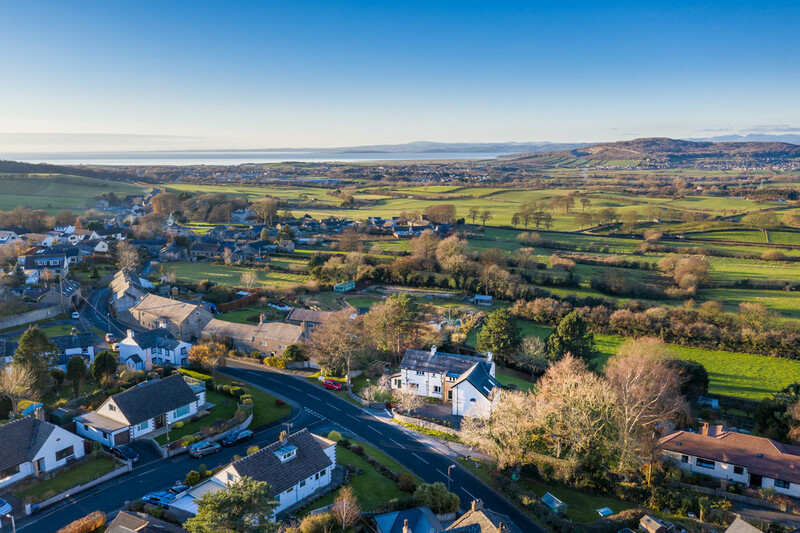 The west coast mainline and wider range of useful everyday amenities including a doctors, dentist and supermarkets are available in nearby Carnforth, only a 5 minute drive away, which also provides access to the M6 J35. 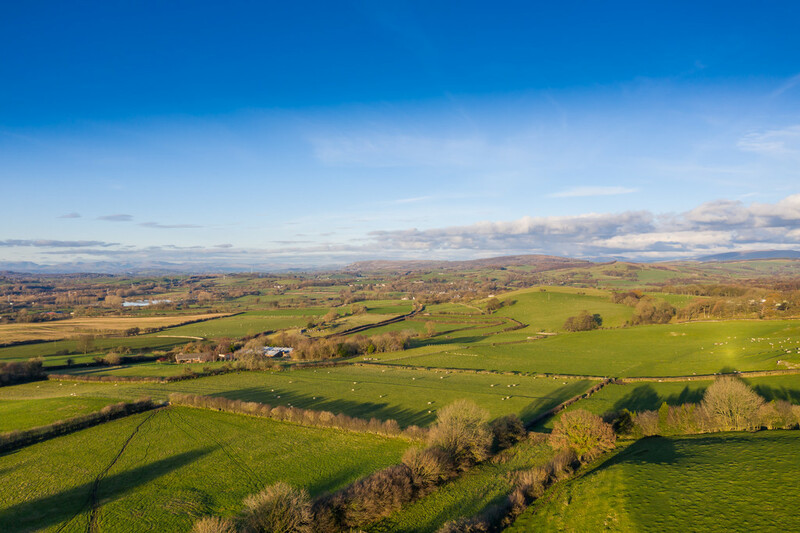 West Penwith is also in the catchment area for the well regarded Queen Elizabeth School in Kirkby Lonsdale. The immediate local area has a number of community led villages, including Nether Kellet, Bolton Le Sands and Halton. 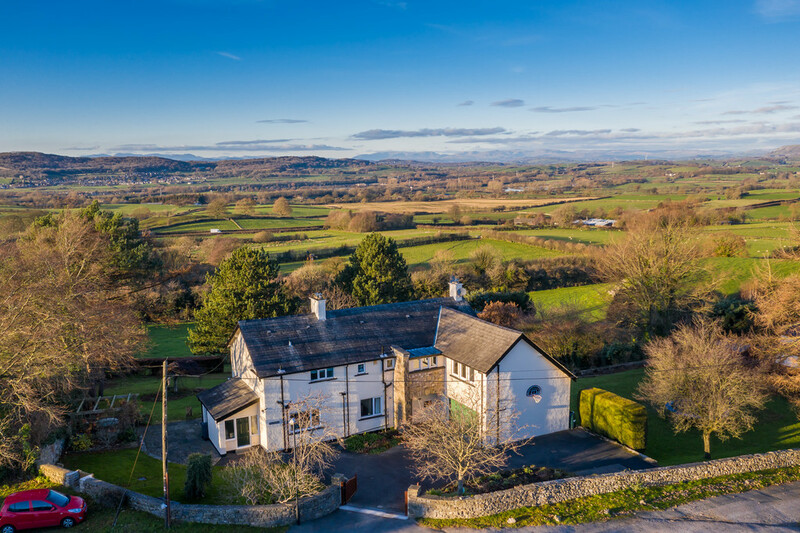 The property is also ideally located for access into the City of Lancaster which boasts both Boys’ & Girls’ Grammar Schools, two universities and a large hospital amongst an excellent selection of vibrant cultural and historic places of interest and a well established high street. Accommodation An attractive open stone porch frames the entrance door that leads within. 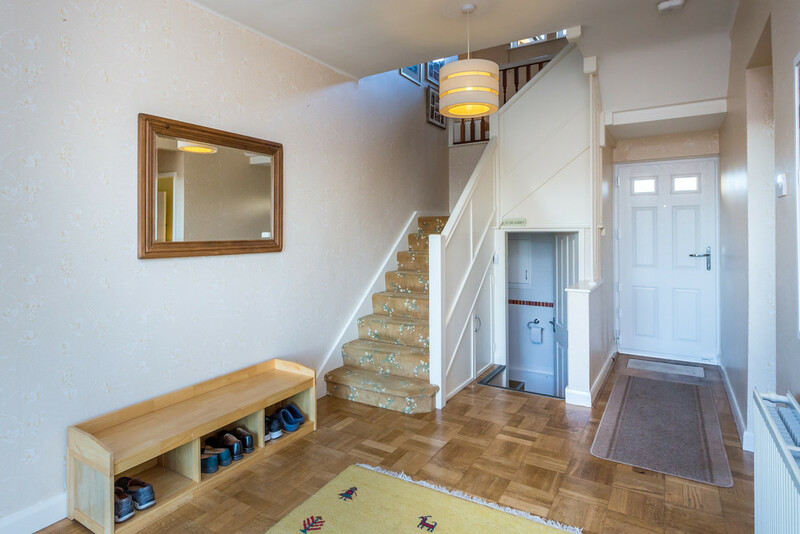 Entrance Hall A spacious and bright welcome into this homely property, you are immediately greeted by a large picture window perfectly capturing the stunning views over the rear garden and rolling countryside beyond to the Lakelands Hills and Morecambe Bay. Practically, there is ample space for coats and shoes and access into an understairs storage cupboard and a WC. Sitting Room 5.04 x 3.65 (16’6 x 12’0) This principal reception rooms boasts a dual aspect which floods the room with natural light and affords the fantastic views over the rear. 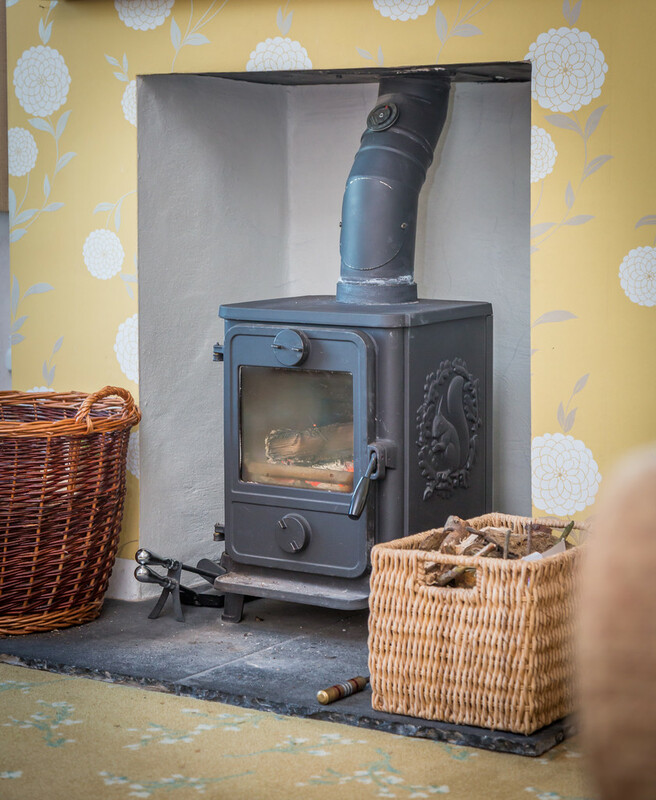 The central log burner is ideal for creating a cosy atmosphere during the winter months and is set upon an attractive slate hearth. Breakfast Kitchen 6.84 x 4.30 (22’5 x 14’1) Completed in 2015, this modern family kitchen has been well designed by Panararmer Kitchens to include a range of gloss units and a large central island topped with EcoTop work surfaces. 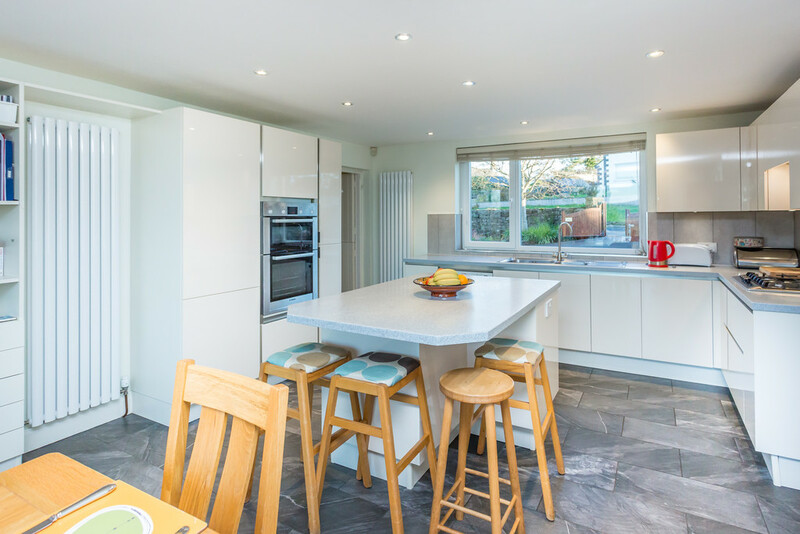 Fitted appliances include a Bosch double oven and grill, 4 ring gas hob with an integrated extractor and there is space for a dishwasher and fridge freezer. There is also space for dining furniture affront the glazed sliding patio doors that lead out onto the rear and afford a great snapshot of those amazing panoramic views. Porcelain tiled floors complete the room. Utility 2.12 x 2.12 (6’11 x 6’11) Immediately adjoining the kitchen, this is a useful room with space for an additional fridge freezer, ample storage and external access onto the front driveway. Playroom/Dining Room 3.64 x 3.61 (11’11 x 11’10) Located to the rear of the property and therefore benefitting from the stunning views to Morecambe Bay and Warton Crag, this final reception space is perfect for larger families. First Floor The galleried first floor landing includes a split level design with the first level leading into the studio extension. Guest Suite 6.44 x 5.51 (21’2 x 18’1) A fantastic, bright and spacious room located above the integral garage and away from the rest of the first floor accommodation. This versatile space includes a kitchenette, fantastic views and a modern ensuite shower room. At present it is utilised as a guest suite however would also be great for dependant relatives or as a home office. Purchasers will also be delighted to know that West Penwith benefits from a superfast B4RN broadband connection. 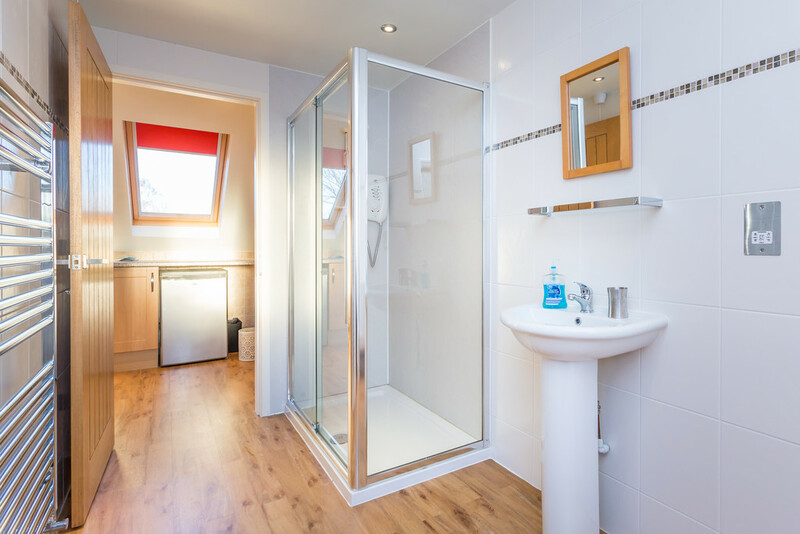 Ensuite Briefly comprising a pedestal hand basin, WC and a modern double shower cubicle with Mira electric shower. The staircase continues up to the second level of the first floor where there is access into a fully boarded loft area. 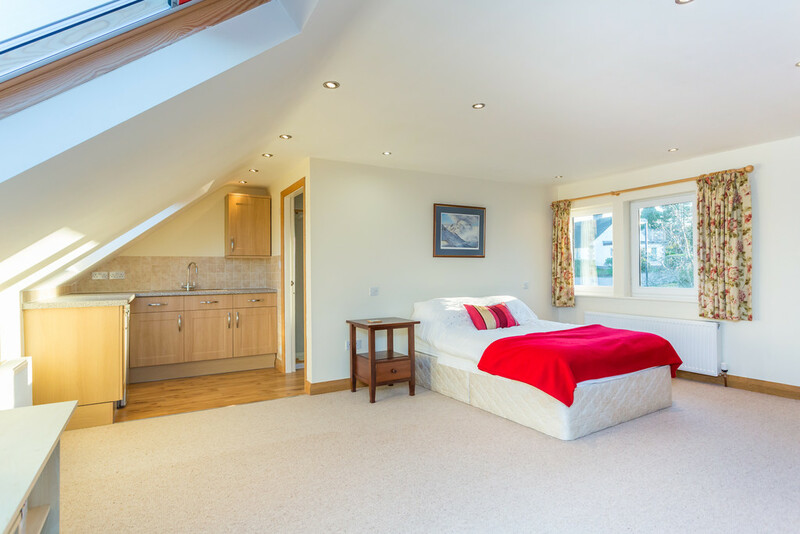 Master Suite 4.29 x 4.09 (14’1 x 13’5) The master bedroom is generously proportioned and not only boasts brilliant views over to Morecambe Bay but also benefits from an ensuite bathroom and large adjoining dressing room. Ensuite Briefly comprising bath, pedestal hand basin and WC. 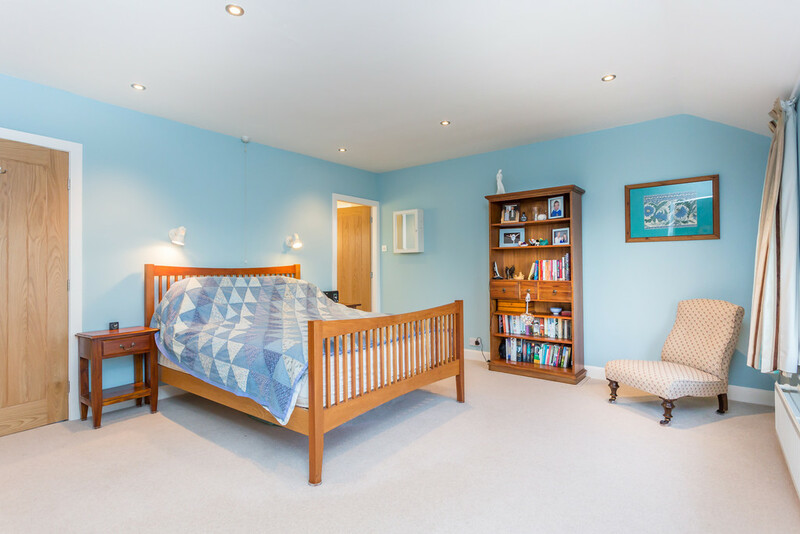 Dressing Room 3.64 x 3.62 (11’11 x 11’11) This room, whilst semi-open to the master bedroom, also includes separate access from the landing and therefore could easily be separated to create a fifth bedroom of double proportions. 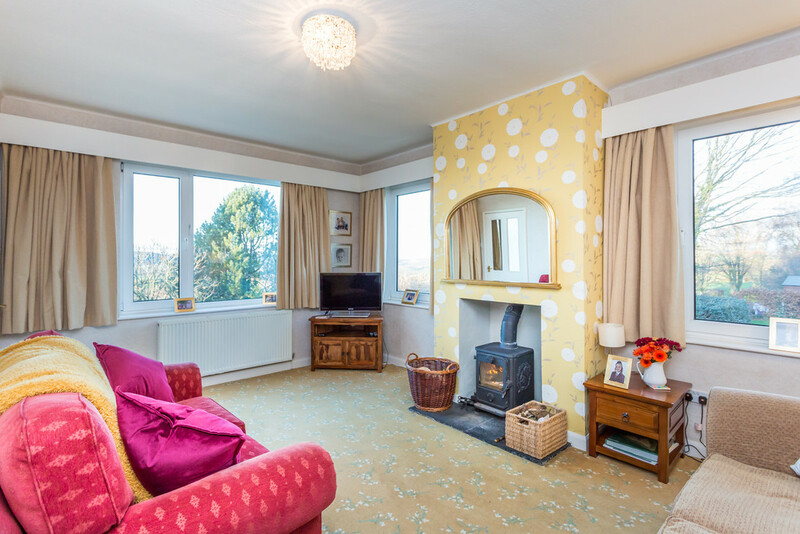 At present it includes fitted wardrobes and great views over the rear. Family Bathroom A Jack ‘n’ Jill style bathroom comprising a bath, pedestal hand basin, WC and a corner shower. Bedroom 3 5.05 x 3.62 (16’7 x 11’11) A spacious double bedroom with a dual aspect over the rear and built in wardrobes. Bedroom 4 3.69 x 2.72 (12’1 x 8’11) A large single bedroom, again benefitting from those mesmerising rear views and built in wardrobes. Laundry Room Plumbing for a washing machine and tumble dryer and a large airing cupboard. 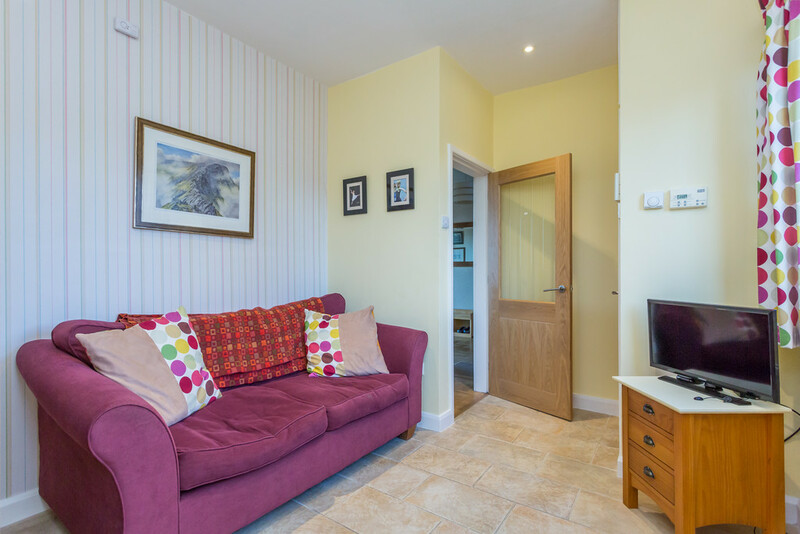 Outside The gardens envelop West Penwith and amount to just under 1 acre. To the front of the property, the private gates lead onto a large tarmacked drive and parking area where there is also access to the integral double garage with remote control up and over doors. A front lawn and shrubbery flower beds create a lovely welcome and a stone flagged patio leads around to the rear of the property where it sits raised above the sloping rear lawn, perfectly positioned to capitalise on the amazing, panoramic views over the rolling countryside and Morecambe Bay with the distant Lakelands hills and prominent Warton Crag. To the end of the sloping lawn, the hedge also reveals an opening to the secret garden, a private space looking out over the fields with a fruit cage, apple trees and a plum tree. To the side of the property, there is a productive vegetable plot and a large enclosed flat lawn area bordered by rose bushes that is perfect for young children to safely enjoy. Directions From M6 Junction 35 follow the B6524 towards Kirkby Lonsdale. Passing through the village of Over Kellet, West Penwith is situated on the left hand side adjacent to the cul de sac – Greenways.